Welcome to S&T GeoTronics LLC. We are even more humbled by the Smithsonian Air & Space magazine mention in the April/May 2019 issue on "The best films, events, books, websites, and souvenirs." We spent 3 years researching, planning, designing, testing, tweaking before we introduced the World to our OPEN DSKY. This Apollo Guidance Computer (AGC) DiSplay KeYboard (DSKY) Replica is stunning and should please our new and old customers. Please visit www.opendsky.com for more info. We shipped to 246 customers already. Our "Open Enigma Project" on Kickstarter was also very successfull! Thank You to all who backed us. We are very proud that we finished fulfilling all these orders on time and have sold ALL of the 100 Mark 4 Limited Edition. We then released our Improved Performance Mark 4. We just completed a batch of our fine wooden boxes so we should be able to ship any Full (boxed) Enigma within approximately 3 weeks. All other Enigma product ordered here should ship within a normal 7 days as we have everything else in stock. Please contact us for special requests. THANK YOU! We are proud to mention that, including 36 different states in the U.S., we already shipped products (including 180 assembled and tested units) to 35 different Countries. It used to take on average 14 days for International shipments but ne have now brought this down to 3 days to get there and an average of 2.5 days in the U.S. So, we have already proven we can get our products in your hands if you are located in Australia, Austria, Canada, China, Czech Republic, Denmark, Finland, France, Germany, Greece, Hong Kong, Hungary, India, Ireland, Israel, Italy, Japan, Lithuania, Malta, Mexico, Netherlands, Norway, Russia, Serbia, Singapore, Spain, Switzerland and U.K. We are looking forward to add more countries to this list. Do not hesitate to place an order as we will get it in your hands ASAP. We are the (Open) Source for all your Geotech toys. We create Open Technology for this World. 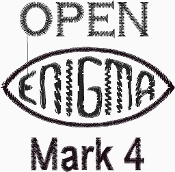 We are Makers and we are passionate about Geocaching & Enigma. We created a whole product line of devices that deliver "Location Based Entertainment". This means we use state of the art GPS technology, along with 2.4GHz wireless technology to interact with Geocachers in new & different ways. Our unique Open Source Enigma Replica has been featured around the world thanks to initial exposure through our first Instructable. The Arduino micro-controller is the brain behind all our products. We are open to product suggestions as we are always looking for the next challenge! Please browse through our store and shop with confidence. We invite you to create an account with us if you like, or shop as a guest. Either way, your shopping cart will be active until you leave the store. Please visit our Blog at http://inversegeocache.tumblr.com. Thank you for visiting our site, we hope that you liked what you found here, and that perhaps someday we may do business together. We hope you found a product you will enjoy... Please come back soon as we are always expanding our product line.